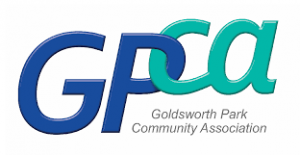 THE fate of the Goldsworth Park Community Association (GCPA) hangs in the balance, ahead of a crisis meeting in a few weeks’ time. If volunteers don’t come forward to fill the roles of treasurer and vice chair, it will mean the end of the GPCA, a registered charity which has supported the local community for decades. “It is not too late to rescue the situation if there are willing volunteers,” said chairman Irene Watson, hopeful that two people could yet step forward from a pool of 12,000 residents before time runs out.